The ductwork in your home is responsible for moving large volumes of air from your air conditioner and air handler to vents. 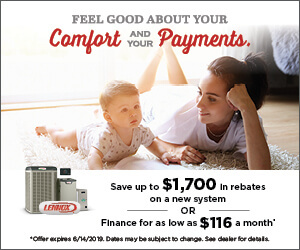 So, while the air conditioner itself is a major investment and is at the top of your maintenance scheduling list, the ductwork is equally important to keep your family comfortable. That’s why, if you notice your cooling system suddenly becoming less efficient and not supplying as much air to each room, or if the electric bill suddenly spikes, it is time to call Air On Demand. Our Miami ductwork system experts are available to identify the source of the problem and fix it fast. There are a number of options when it comes time for Miami ductwork installation in your home. We recommend you start by having a trained expert perform a cooling load calculation to determine how much air will be needed to cool your home. The design process is incredibly important to ensure the system runs as efficiently as possible for its full lifespan. The installation process itself will vary depending on the size and age of your home and whether there is existing ductwork that can be used. Make sure to verify these details in advance so you know exactly what will be involved during your Miami ductwork installation call. If you have an existing ductwork system that is beyond repair – either because of excess leaks or age – we can help. Our Miami ductwork replacement experts have years of experience measuring and analyzing existing ductwork systems to determine what will work best in an upgrade or replacement. We then match the right system and dimensions to your air conditioner and outline exactly how the replacement process will work. Call us today for Miami duct replacement. For more than a decade, Air On Demand has been a trusted partner in air conditioning and ductwork installation and maintenance throughout the Miami region. If you need an expert to look at your ductwork, now is the time to give us a call.